Nice render. Did you model all the figures? the modeling was not the hardest thing for me.i have problems with rendring and texturing. What did you find difficult to texture? Wow, I'm LOVING the metal sheen on the chess pieces. Is there a way to manage the same effect in Blender? Also, did you make the textures for the chessboard yourself? It's very realistic and I like the colour contrast. Great atmosphere. Really love the choice of materials used. 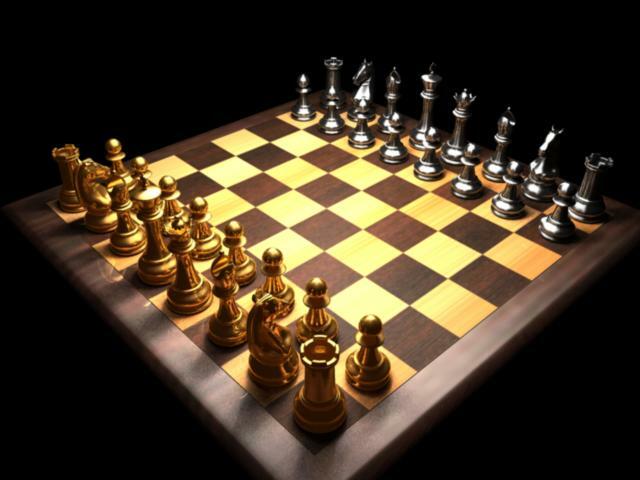 Very nice angle to give emphasis to all the piece of a chess set Nice job! Great job. I adore the lighting a lot. It makes me feel warm. Great modelling! The textures are equally as detailed, and the render is very realistic. Keep it up. Looks good. I think if you add some random scratches and fingerprints it could look even more real. Maybe set the board on a kitchen table with some supporting objects like a glass of water or something. Also, all the pieces look to be placed exactly center of each square. Move each peace off center a little for the human error effect. Keep going!